Hand injuries can lead to extensive nerve damage and long-term complications, like loss of sensation or movement. Robert K. Kwon, MD is a double board-certified hand surgeon specializing in hand reconstructive surgery and microsurgery at Southwest Hand and Microsurgery in Plano, Texas. To see how Dr. Kwon can restore nerve function in your hand, call Southwest Hand and Microsurgery or schedule an appointment online today. Peripheral nerves connect your spinal cord and brain with the rest of your body. The peripheral nerves in your hands communicate vast amounts of information to your brain through your sense of touch. As your brain and hands communicate through your nerves, valuable information passes back and forth, including how much pressure a task requires and the temperature of an object. Your nerves also communicate when to remove your hand from danger, like the surface of a hot stove. Sustaining nerve damage can cause a variety of symptoms and interfere with the function of your hand. What are the symptoms of nerve damage? Your symptoms can vary significantly based on the location of your injury and its severity. 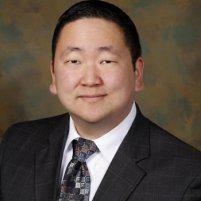 If you’ve sustained nerve damage to your hand, contact Dr. Kwon immediately. The sooner you seek treatment, the greater your chances of successfully regaining sensation and function in your hand. How is nerve damage diagnosed and treated? Dr. Kwon is a double board-certified hand surgeon who performs peripheral nerve surgery to repair damage to the nerves in the brachial plexus. To diagnose your nerve damage, Dr. Kwon conducts a physical examination that might include digital imaging like CT scans and MRIs as well as nerve screenings like electromyography (EMG) and nerve conduction studies (NCS). If your nerve damage is beyond repair, Dr. Kwon also performs tendon transfer surgery. Call Southwest Hand and Microsurgery or schedule an appointment online to learn more about nerve damage treatment.